Traditionally the gear head column on the Roundup has been a wasteland of sarcasm and criticism. Not today. Rest easy A&M bevel, Baylor "gun metal is not a school color," and Dear, Sweet Baby Jesus, Texas Tech Lone Star uniform set. Today is not your day. 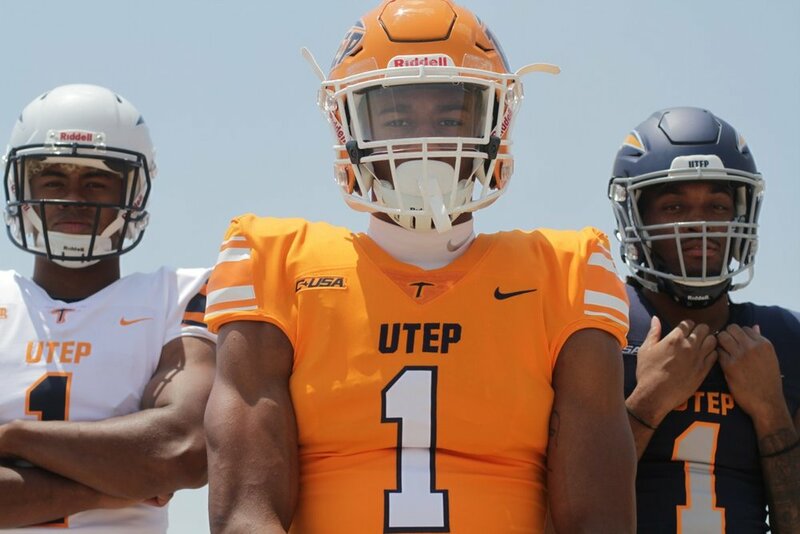 Today we celebrate our friends from that farthest outpost, El Paso, and their new uniform combination. If you'd told us that a set outwardly void of any Paydirt Pete would make us this happy, we'd think you were crazy. Color us surprised. Speaking of color, we weren't fans of the new, duller orange, but dang it, it works. 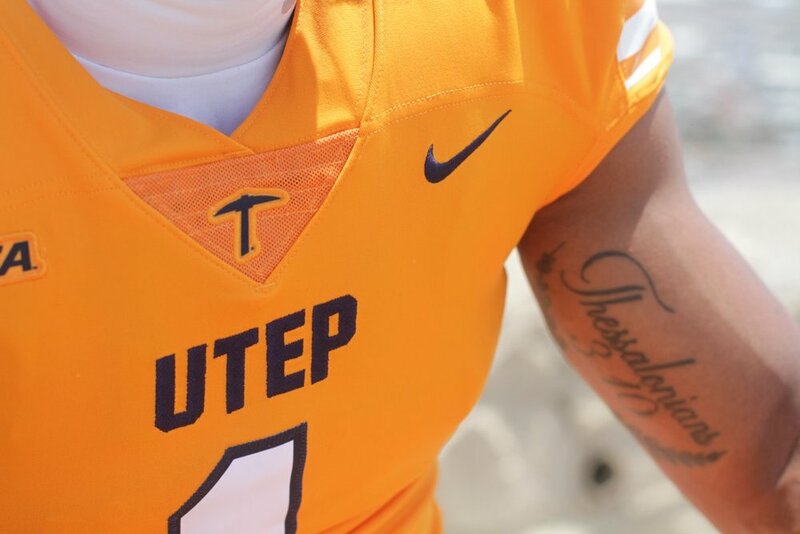 Moving away from the old uniform font, complete with two-tone number markings is an upgrade all by itself. Nike, we owe you an apology. You screw so many things up. Not as many as Adidas, but you've swung and missed. (Those Florida Gator skin unis from last year should have landed you at the Hague to explain yourself.) But you've really come through. We give you Sun City! 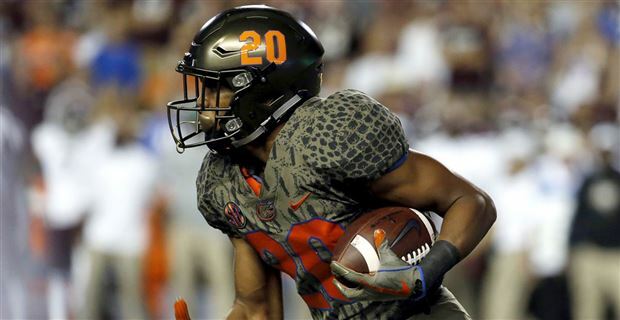 The orange of the helmet matches the jersey and pants perfectly. For us the selling points is the Ohio State style sleeve striping. Plain orange, simple, ultra clean, and sharp. Again, super clean blue alternate. The pickaxe helmet really works along with the same sleeve striping that's consistent for each of the three sets. If you took that blue jersey and paired it with the white top and bottom, you've got beautiful home set as well. On the road, the Miners introduce White Sands. 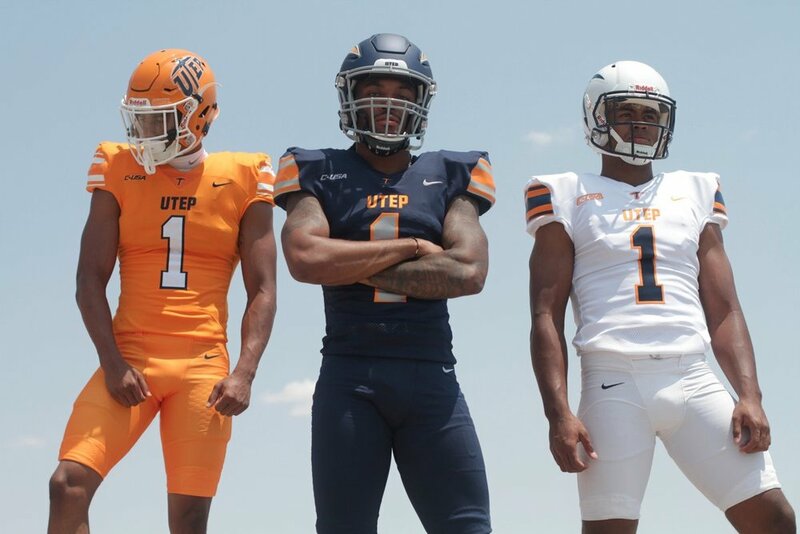 The great things about the roadies are that they work well in icy white or can pair with orange pants and helmets or blue top and bottom to create great looking unique looks. We think the Sun City with the white pants would look...real good. Overall, clean, sharp, upgrade to an old Nike template. 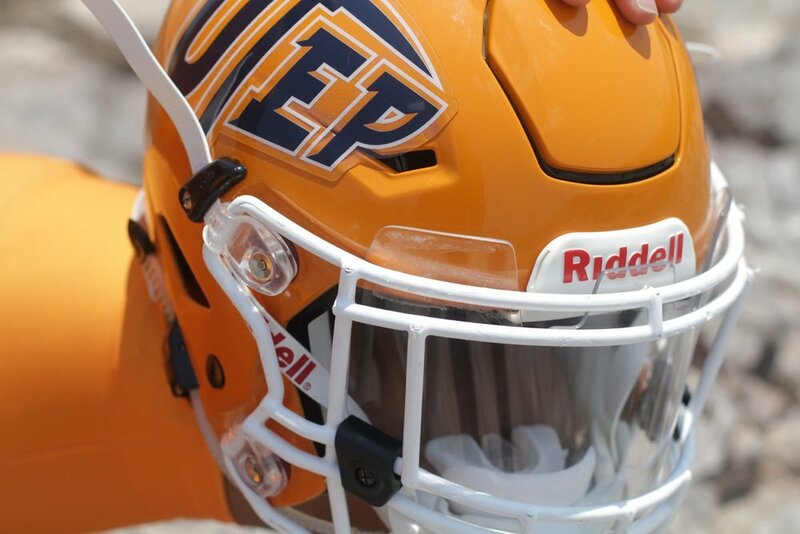 The orange look might rival North Texas' for the best home look in the league. 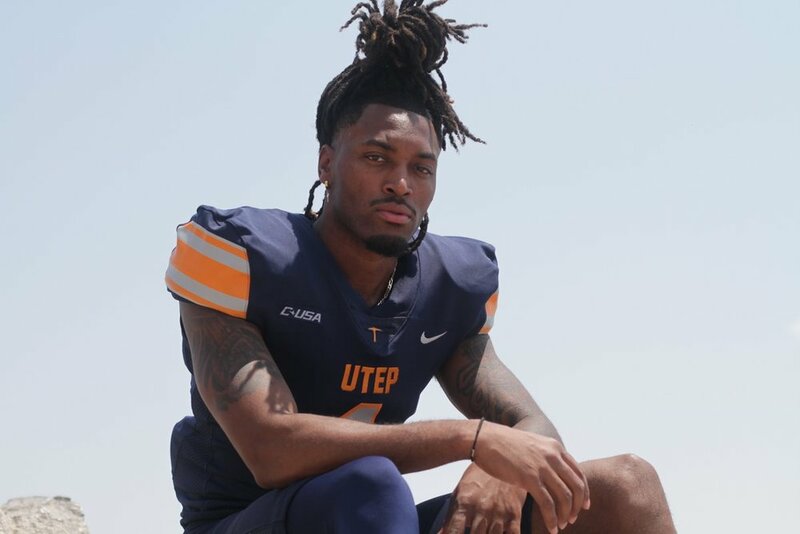 Posted on August 15, 2018 by The Roundup and filed under UTEP, Southwest Round-Up and tagged Gear Head UTEP Nike.